The internet is an infrastructure that supports all aspects of modern life, and the Defense Advanced Research Projects Agency is creating technology to protect U.S. data, networks and national security, DARPA’s acting director said in Baltimore today. 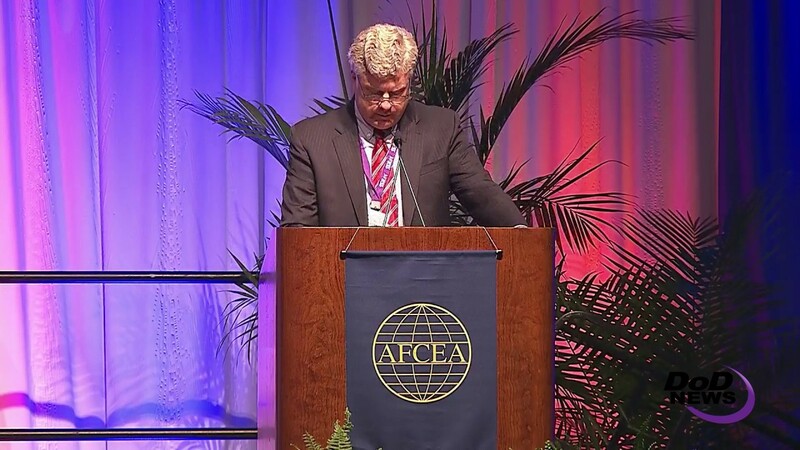 Walker said DARPA’s security research goals have three focus areas in the cyber security domain -- hardening systems against cyber attack, operating through cyber attacks and winning in the cyber domain. “In this case, [the challenge] was to defend a network and counterattack an adversary's network in a matter of minutes with no human intervention -- only machines playing machines in a game of capture the flag,” he added. The program is working on anomaly-detection technologies that are sensitive but have low false-alarm rates in a U.S power grid system that’s made up of more than 3,500 different grids, Walker said. Enhanced Attribution's goal, Walker said, is to make transparent the opaque, malicious cyber-adversary actions and individual cyber-operator attribution by providing visibility into all aspects of malicious cyber actions. The Network Defense Program “has developed algorithms and data-analysis tools that enable cyber situational awareness for identifying illicit behavior in networks. This is the program that we see now transitioning to U.S. Cyber Command,” he added. “Where I think we're headed at DARPA in the Winning in the Cyber Domain set of programs is what I loosely referring to as creating a cyber system-of-systems approach,” Walker explained. “By that I mean taking many of the technology, tools and programs that I've discussed today and putting them together into sort of a national network defense system for cyber security, and potentially a cyber warfare combat system for cyber response,” he said, noting that such a defense system would be voluntary, and domains and specific networks could sign up. The system, Walker explained, would enable real-time monitoring of hundreds of U.S. internet domains to discover botnets, understand the command-and-control status of servers, correlate adversary probing of U.S. enterprise networks, provide indications and warning of enterprise network compromises and coordinate a national response to adversary activities on U.S. networks and domains. “We're working now with [the Defense Information Systems Agency] and Cybercom on that new program,” he said.